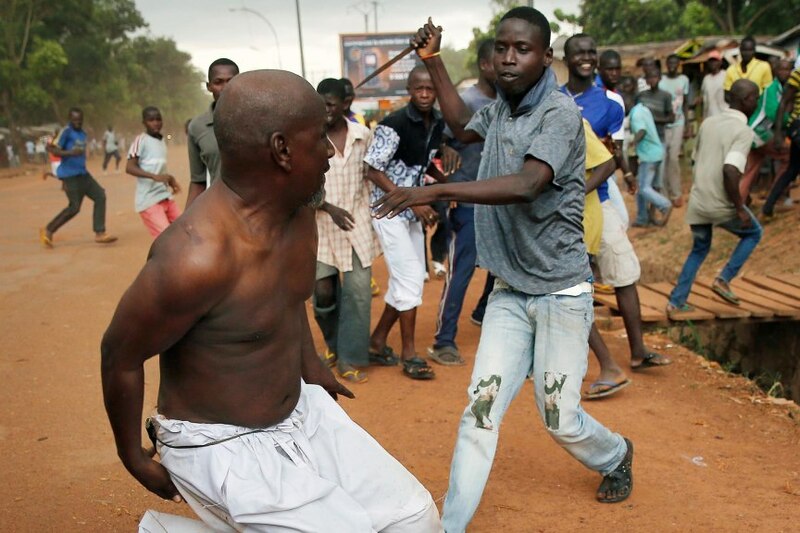 JNN 30 May 2014 Bangui : Radical Christians in the Central African Republic killed and mutilated three Muslims in the Central African Republic. The three Muslim youth were on their way to an inter-religious program in the capital city of Bangui, according to letempsdz website. Anti-Balaka extremists blocked their way and after torturing and killing them mutilated their bodies. Organizers of the interfaith program said the three young Muslims were from the PK5 neighborhood of Bangui. Their mutilated bodies were taken to the neighborhood’s mosque to be later buried in the Muslim district of the city. The Central African Republic descended into chaos last December when Christian armed groups launched coordinated attacks against the mostly Muslim Seleka group, which had toppled the government in March 2013. This entry was posted in AFRICA and tagged Africa, Bangui, CAR, Central African Republic, Christians Extremists, Muslims, mutilated bodies, Sebastien Wenezoui, the Central African Republic, young Muslims. Bookmark the permalink.